Sirens. Succubae. Witches. Grenades. Mankind has created multiple templates of raw femininity, primarily to have a medium on which to project their awe and fear of vaginas. True to classic form, the modern game villainesses with whom we grew up have run the full gamut from mother figure to pure malevolence. It’s not always about motivation. Sometimes evil is evil, especially when it comes to entertainment. But even game designers have come to realize that few people—regardless of gender—were born as pure, gale forces of fuckery. Look, we’ll never be rid of cardboard cut-outs of scantily clad women doing bad things; that would be a futile attempt to override human nature. What’s encouraging, though, is that games—so often castigated for simplistic representations of race, violence, and sexuality—have occasionally presented us with villainesses as empathetic as any other character, fictional or real. 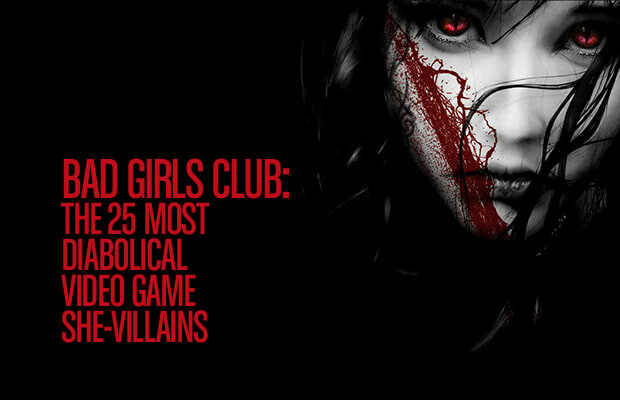 So it's time for a roll call to honor 25 of the most memorable game she-villains we’ve ever encountered. Some fall into the old archetypes. But the ones that don’t would likely get pardons from any judge.